Oh my goodness me too! I love that puppy in the pic too! 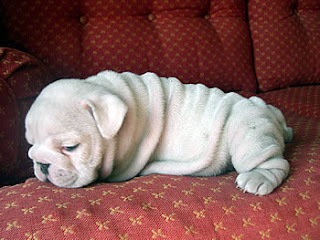 Sean and I want a bulldog puppy so bad! They are so cute and wrinkled and chubby! Anyway... Love you and miss you!